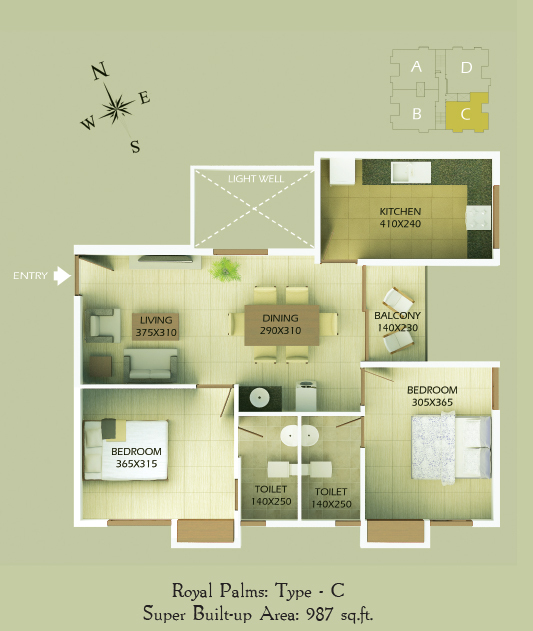 Enjoy the delights of Lo'Rise Living at Mansions Palm Hills, Peroorkada, Trivandrum. 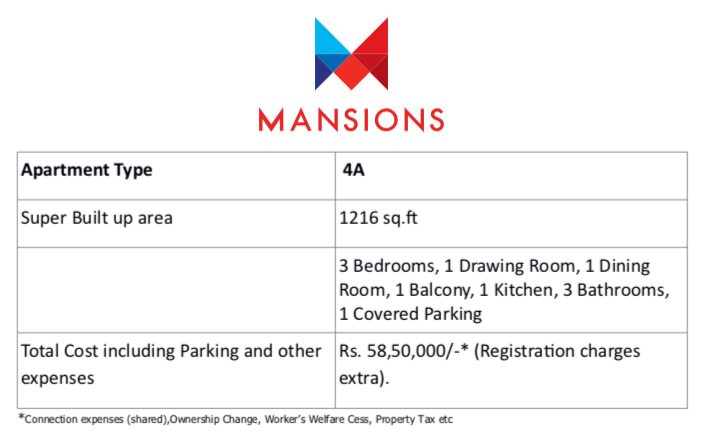 The Mansions Lo' Rises, besides appealing to those looking for locational advantages, may also be preferred by those who wish to minimize Lift usage, or wish to be closer to the sounds & sights of flora & fauna, or even have an aversion to living at heights. Enjoy PMAY Subsidy, if eligible. Come home to a down-to- earth builder in Trivandrum: professional, technocrat-driven, trusted with a 30-year legacy. 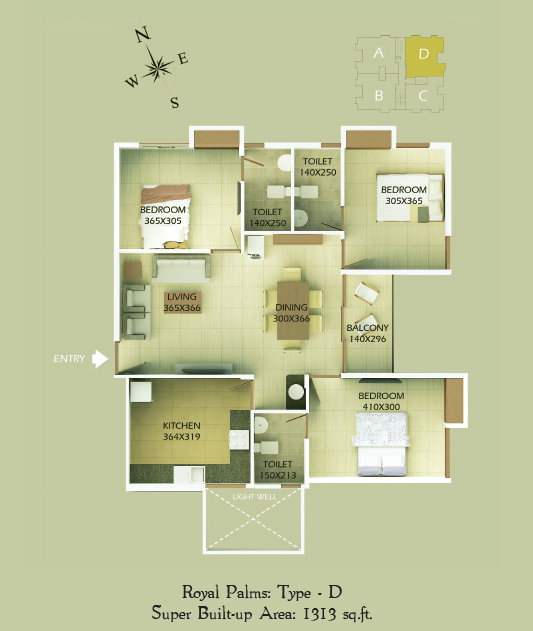 The landmarks which surround Mansions Palm Hills Apartments are one of the main attractions for residents. There are 10 schools and 7 major banks within 5 KMs; complemented by 7 colleges and 8 hospitals within a radius of 6 KMs. 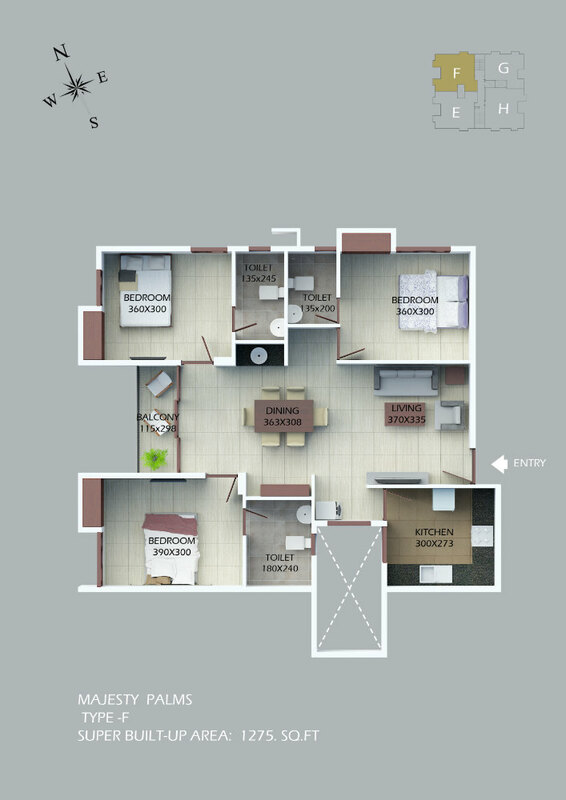 It is these conveniences that make people interested in apartments for sale in Peroorkada. 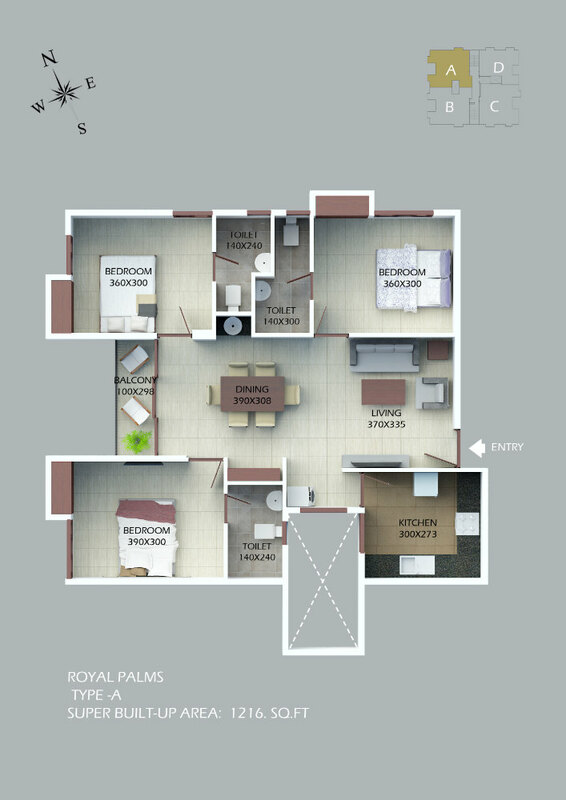 For those looking for a 2-BHK flat in Peroorkada, Mansions Palm Hills is an ideal destination. 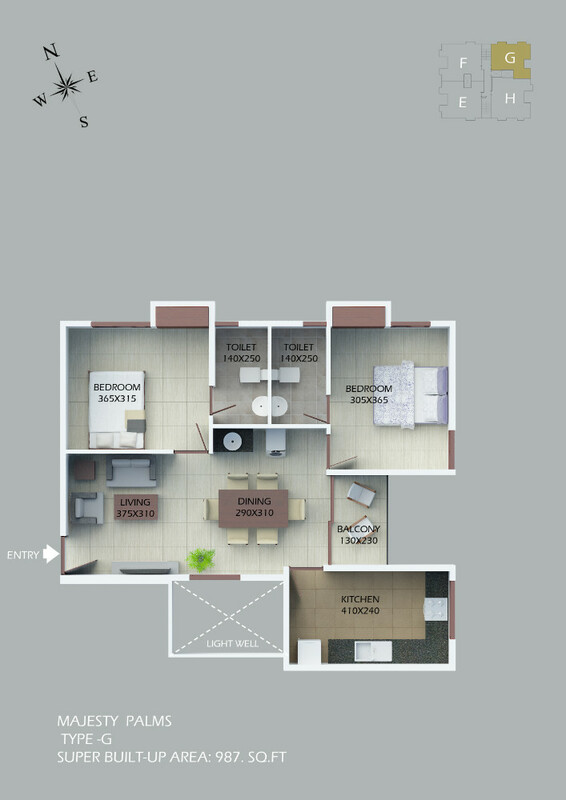 Presently 3-BHK flats are also available at this Peroorkada property of Mansions. 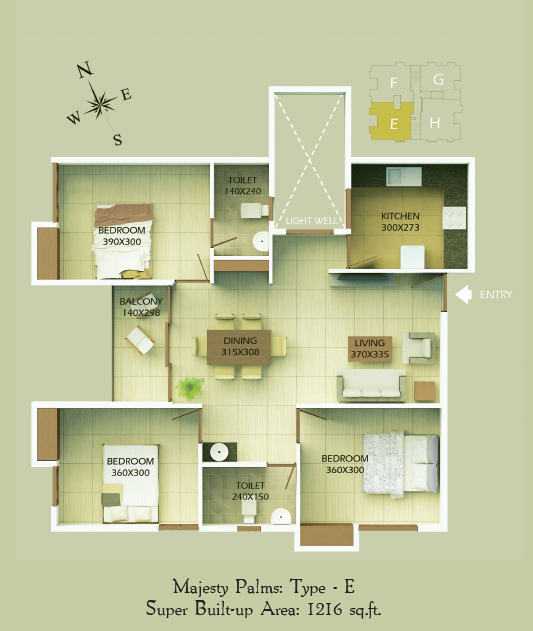 Homebuyers who are particular of owning apartments in Trivandrum offered by a trusted realtor with proven expertise and immense customer goodwill will be delighted to invest here. 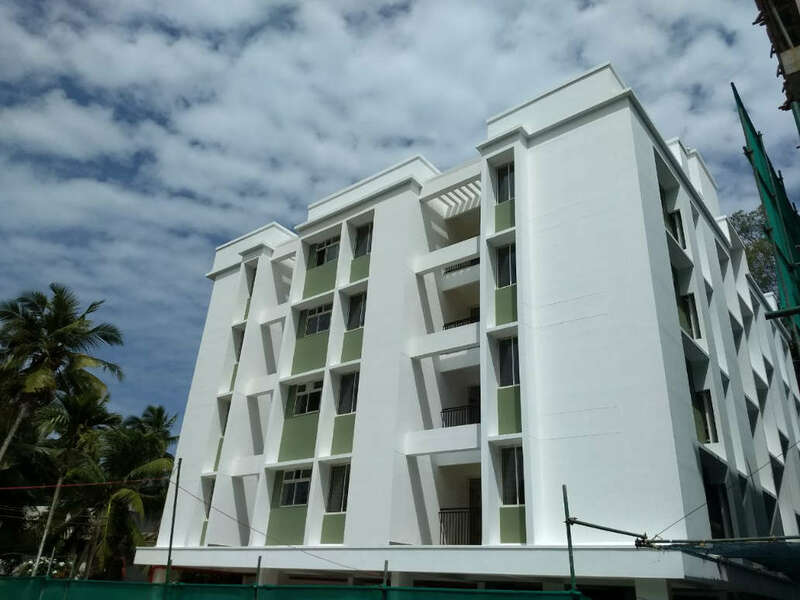 Since there is a growing demand for apartments in Peroorkada, Mansions is on the threshold of launching the next phase of Palm Hills so that prospective customers have a choice to select the best flat in Peroorkada, Trivandrum. 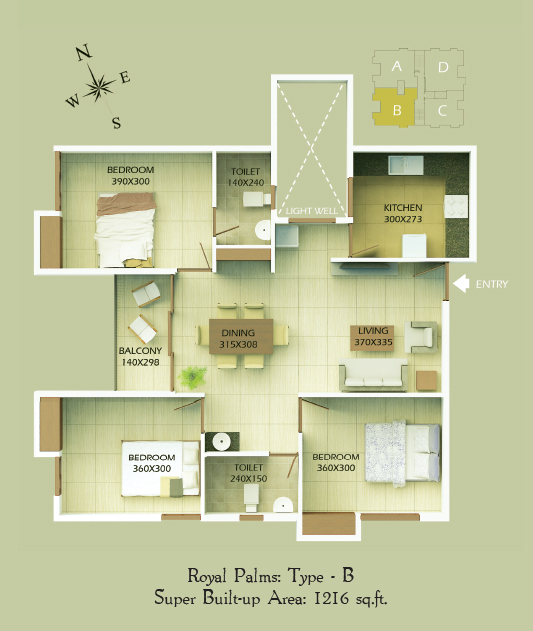 The location of this low-rise housing project is called “Kudappanakkunnu” which gave birth to the name Palm Hills. Mansions’ research showed that many home buyers are looking for homes which are low rise buildings, not high rises. Many have height-phobia; many have physical limitations and would not like to lead an elevator-controlled life; and many more would like to be closer to the sounds of sights & sounds of Nature. 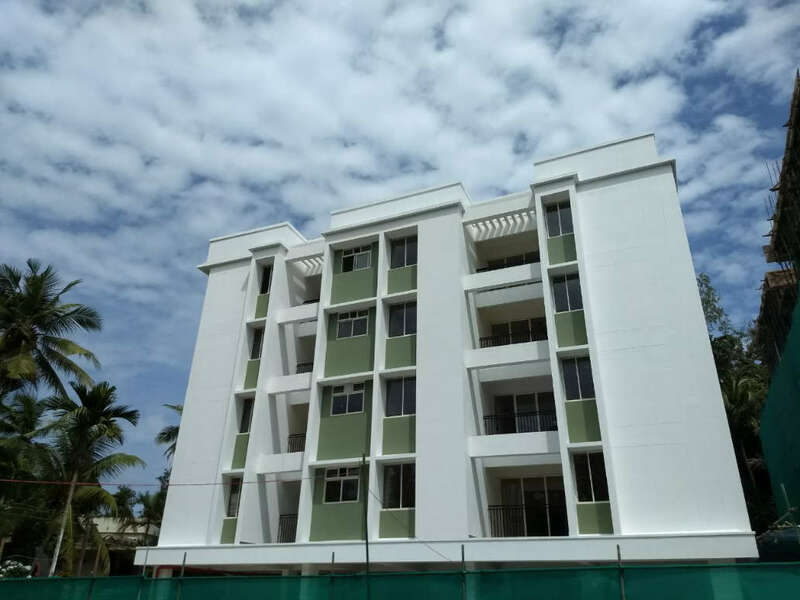 It was this customer insight that led Mansions to create Palm Hills Lo'Rise Rise Apartments at Kudappanakkunnu: where the height of the building is closer to the height of a Pana or a Palm Tree. 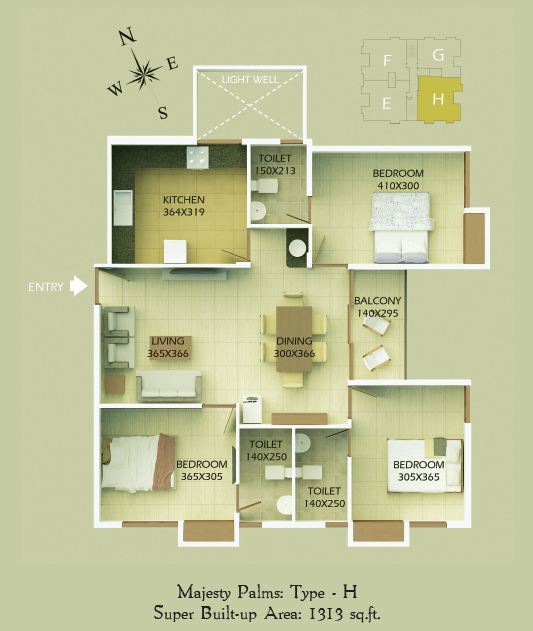 However, this doesn’t imply that low-rise apartments are made for a certain category of residents. While they do offer a preferential advantage, most of such low-rises are occupied by just about everyone who wants to live in a secure gated community, where most of the common amenities, utilities and facilities are taken care of by the Apartment Association/Society. And of course, each family is looking for an optimum blend of economical, locational, logistical and operational advantages—which can make their lives enjoyable. The design and architecture of the Mansions Palm Hills Apartment blocks encourage community togetherness where young and old can congregate in a tranquil green ecosystem which promotes resident interactions and a high level of emotional wellbeing—but at the same time protects the privacy of individual homes and lives. Moreover, Peroorkada is predominantly a residential locality which has several locational advantages. It is just 7 KMs away from Trivandrum Central Bus Station. Having seen growth over the past few decades, the Trivandrum District Collector’s Office is now located in Peroorkada. It is today well-connected as roads from Ambalamukku, Vattiyoorkavu, Mannanthala and Nedumangad meet at Peroorkada .The establishment of the new Civil Station at Kudappanakkunnu has goaded the urbanization process at Peroorkada. The choice of NRIs, professionals and well-educated families has transformed Peroorkada into a sought after cosmopolitan space in Kerala. Studies across the world have shown that low- rise also means low risk during emergencies like fires or earthquakes; occupants can use the stairs, because normally the elevators are de-activated in such emergencies. Thus a low-rise building will be comparatively safer during a natural calamity. And especially when there are residents who have impaired movements or families with infants and toddlers to carry, low-rises appear to have a competitive advantage in such emergencies. Concordia School (400 metre), Kendriya Vidyalaya- SAP Camp (2.5 km), St. Thomas Schools(3 km), Salvation Army School (3 km),St. Shantal School (3 km), Nirmala Bhavan HSS (3.5 km), Christ nagar HSS (4 km), Chinmaya Vidyalaya (4 km), Sarvodaya Vidyalaya (4.5 km), Kendriya Vidyalaya-Pattom (4.7 km). Kerala Law Academy (0.9 km), M.G College (4 km), Mar Baselios Engg. College (5 km), Mar Ivanios College (5 km), Govt. Women’s College (5.5 km), Govt. Law College (5.5 km), Govt. Engineering College (6 km). Govt. Hospital Peroorkada (1.2 km) , Santhwana Hospital (1.5 km), SUT Royal Hospital (5 km), Credence Hospital (5.2 km), Cosmopolitan Hospital (5.5 km), Chaithanya Eye Hospital (5.5 km), S.K Hospital (5.5 km), Govt. Medical College (6 km). UCO bank (0.5 km), SBI (1 km), Union Bank of India (1.2 km), Canara Bank (1.3 km),Indian Overseas Bank (2.4 km), ICICI Bank (2.5 km), Federal Bank (4.5 km), HDFC Bank (4.5 km). Civil Station (1.9 km), Golf Club (2.5 km), Tennis Club (3 km), C-Dac (4 km), HLL-Peroorkada (2 km), Museum & Zoo (4.5 km), ISRO Vattiyoorkavu Unit (5 km). Earthquake resistant RCC frame; (designed for seismic zone III), 15 cm thick hollow concrete block masonry for outer walls and 10 cm thick concrete block/brick masonry for internal walls. Teak wood panelled shutter with teak wood frame for front door. Factory-moulded door shutters with hardwood frames for other doors. P.V.C./fibre-moulded door frame and shutters for toilet doors. Moulded half-glazed door for kitchen. Powder-coated aluminium glazed windows with safety grill. Flat interiors: Acrylic emulsion paint for walls and ceiling over a coat of putty. Enamel paint for doors. Exterior walls: Exterior emulsion paint. Polished granite counter with stainless steel sink and single drain board. Glazed tiles up to 45 cm hei ght above granite counter. Glazed tiles upto 2.10 m. White sanitary fixtures and CP fittings. PPR pipes for concealed hot water lines inside toilets. UPVC pipes for other water supply a nd drainage lines. Overhead water tank with pumping arrangement from bore well/open well and KWA water supply point in kitchen. As per National Building Code norms. Concealed three phase wiring with ISI marked superior quality PVC insulated copper cables with modular switches. Adequate light, fan and plug points. Provision for air conditioner in master bedroom. Provision for water purifier, washing machine, mixer, refrigerator and microwave oven. Concealed conduit piping for cable/dish antenna in living/dining room and master bedroom.